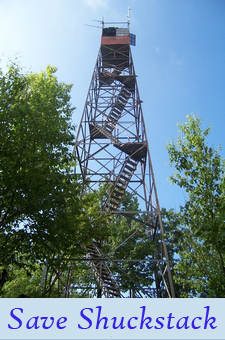 While my obsession with fire towers is well documented (even in book form), many may not know about my addiction to climbing mountain peaks, or “peakbagging” – the hobby of collecting mountain summits. Thru-hiking the Appalachian Trail offers quite the opportunity for a peakbagger; by nature of the adventure, I will already be climbing handfuls of peaks every single day, day after day. I am particularly interested in certain categories of peaks. These especially include elevation threshold peaks, such as mountains in the southeastern and northeastern U.S. exceeding 6,000 ft., 5,000 ft., and 4,000 ft. 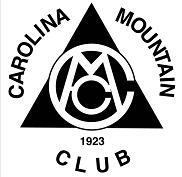 In the southeastern U.S., I have climbed all peaks above 6,000 ft. Those who complete this list are awarded the South Beyond 6000 award by the Carolina Mountain Club. 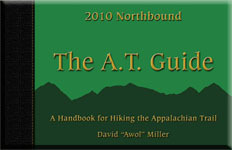 On the Appalachian Trail, I will have the opportunity to reach the only other 6,000+ ft. summit in the eastern U.S., Mt. Washington in New Hampshire. I have also climbed all southeastern peaks above 5,000 ft., becoming the only person to complete this list of mountains. 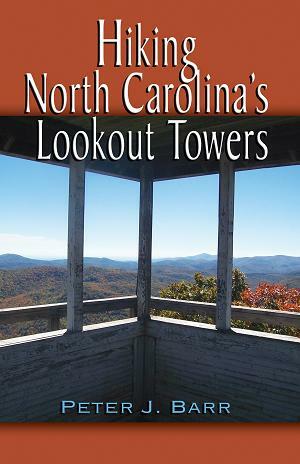 In 2011, I will be releasing a hiking guidebook covering all of these peaks through UNC Press . Many of these summits I will be revisiting during the first month of my Appalachian Trail thru-hike. However, I am very excited to have the opportunity to complete the remaining 10 peaks above 5,000 ft. in the eastern U.S. when in New York, New Hampshire, and Maine. I am also excited about the prospect of climbing many 4,000 ft. peaks both in the southeast and northeast. If time allows, I hope to reach most of the White Mountains 4,000 footers. 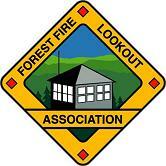 This includes 48 peaks and completion is awarded with a hiking patch by the Appalachian Mountain Club. Many of these peaks are located directly on or very near the Appalachian Trail. Many others will require more distant side trips, some which may necessitate the rental of a car during my time in New Hampshire (and for other peaks in New York and Maine). While I hope to have time for these additional excursions, I will not be certain whether my schedule will accommodate their added time requirement until I am well into the duration of my hike. I also hope to climb many 4,000 ft. peaks in the Northeast, outside of the White Mountains, as well as peaks making up the “Northeast Highest 100”. The route of the AT and my time frame will make it impossible for me to complete all of these peaks this summer, but I hope to complete a vast majority of them so I can easily finish the remainder with one long visit back to the Northeast. I will also be casually collecting 4,000 ft. peaks in Georgia, North Carolina, Tennessee, and Virginia as the trail travels over them or within close vicinity. I also adamantly collect county highpoints. County Highpoints, while generally several explanatory, are occasionally not located atop a mountain summit (county lines sometime bisect peaks on their slopes) or sometimes require the visitation of more than one location (due to the indeterminable elevation of miltiple areas that contend for the highest point). This certainly adds an extra dimension to this collection. In the Appalachians, most peaks indeed are on the summit of a mountain. However, county highpoints give significance to some peaks that otherwise uninteresting or unknown. Frequently, a peak is a county highpoint despite not being the highest summit in the general area. While my county highpointing has generally focused on those within North Carolina (I have visited 87 of 100 HPs), my AT hike will present the opportunity to reach at least 25 additional county highpoints, including at least one in almost every state through which I pass. On my thru-hike, I will also reach the highest point in seven states. Recently, I have developed an interest in “prominence peaks”. Prominence peaks are mountains measured by their total rise over the lowest point between it and the next highest point of land. You can find more information about the concept of topographic prominence here . Prominence is measured mathematically and not visually; a good example of a very prominent mountain is a volcano because it is usually a stand-alone peak where the land on all sides rises to its highest point. Examples of a peak having high prominence in the Appalachian Mountains would be Clingmans Dome, the highest peak in the entire range of the Great Smoky Mountains, and Mt. Washington, the highest peak in the White Mountains. While these mountains have very high mathematical prominence (+2,000 ft.), I am interested in all peaks in excess 1,000 ft. of prominence, known as P1k peaks. I will collect these peaks throughout my hike, but especially in the southeast and northeast. Below includes a list of the peaks that I may climb during the course of my thru-hike. I’ve arranged them in chart form that so that may go in periodically and update whether I have summitted each mountain or not. The chart also indicates the significance of the peak and why it is a summit of interest to me. so Peter, when you signed your name on mt Quimby in VT last year, did you expect someone else would sign in so soon after you? There was a 10 years gap after John Person left one of his many jars on peaks in New England. Do you believe in such thing as “message in a bottle” on the mountains? Congratulation on your AT completion. Ha! No way! I sure believe in a “message in a bottle” on the mountains now! Thanks for the note; this was quite a pleasant surprise. My goodness, it’s almost been a year now; how time flies. Thanks again for the message.